A lovely dry and mild day, 22” degrees and a gentle 10mph breeze… Almost perfect conditions today. Section 1 was all about carp, with very few ide showing on the pole lines… And then getting your tactics just right. Tim Gustard drew hot 🔥 end peg 32, a steady start on the method feeder saw him get off to a decent start, but when the fish slowed up a switch to the pellet waggler kept the fish coming in spells throughout the afternoon. At the weigh-in, Tim put 70lbs on the scales to win his section and the overall match. 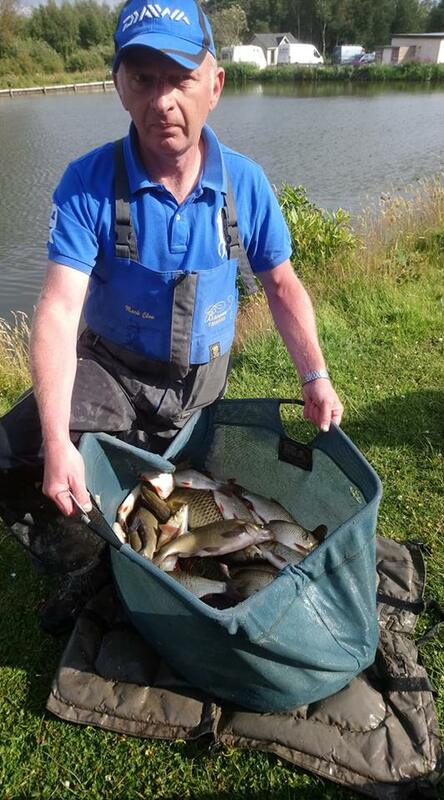 In second place was Steve Royle who fished the… Yes, you’ve guessed it… The pellet waggler..! A steady day saw Steve put a very respectable 62lb 14oz on the scales. Worthy of a mention was Jim Anderson in 3rd place who carp caught carp on the feeder and expander pellet on the pole to weigh in a decent 44lbs 14oz. Section 2 was another close one, with the ide and carp showing up on the pole lines. It was all about getting your feeding just right today in section 2, and Barry Young made a decision at the start to keep things simple, fishing one 13m pole line with maggot and chopped lobworms. 50 ide, 9 carp and 2 skimmers saw Barry register 67lbs 14oz on the scales to win the section. Second place went to Rosen Arsov with a great weight of 58lbs 12oz, a nice mix of carp on feeder and pole, and ide on the pole on maggot. 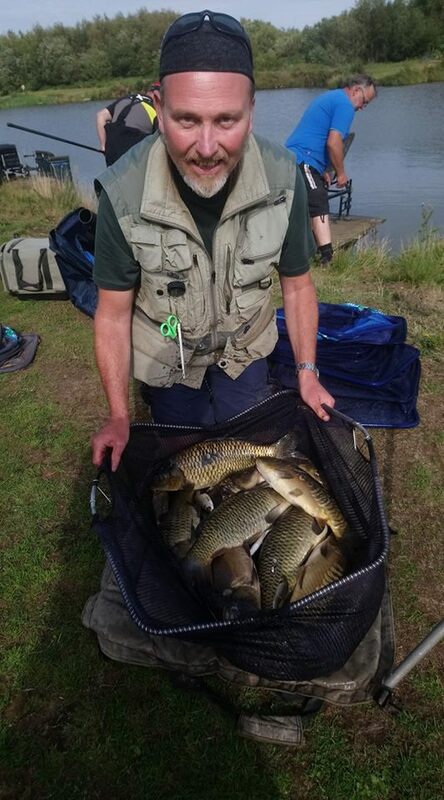 Don Lines on end peg 47 was very close behind in 3rd place with 55lbs, mainly carp caught on pole, but a few lost fish in the stick-ups cost him dear today. Mark Acton in 4th place with 43lbs wasn’t far off the pace, having a good day on the pole catching ide. Well done guys, some terrific weights and really nice nets of fish throughout.